Throughout his studies, he had the opportunity to perform in solo master classes for Andres Diaz, Bernard Greenhouse, Monica Huggett, Phillipe Muller, and Menahem Pressler, as well as chamber music for the St. Lawrence, Orion, and Brentano string quartets. His principal teachers were Thomas Landschoot, Stephen Balderston, and Jeffrey Lastrapes. A frequent performer in the Midwest, Andrew maintains an active freelance schedule, and has played with the Illinois Symphony, Rockford Symphony, Southwest Michigan Symphony, South Bend Symphony, and Chicago Chamber Orchestra. In the summer of 2012, Andrew traveled to Peru, where he taught and performed with colleagues from around the world. 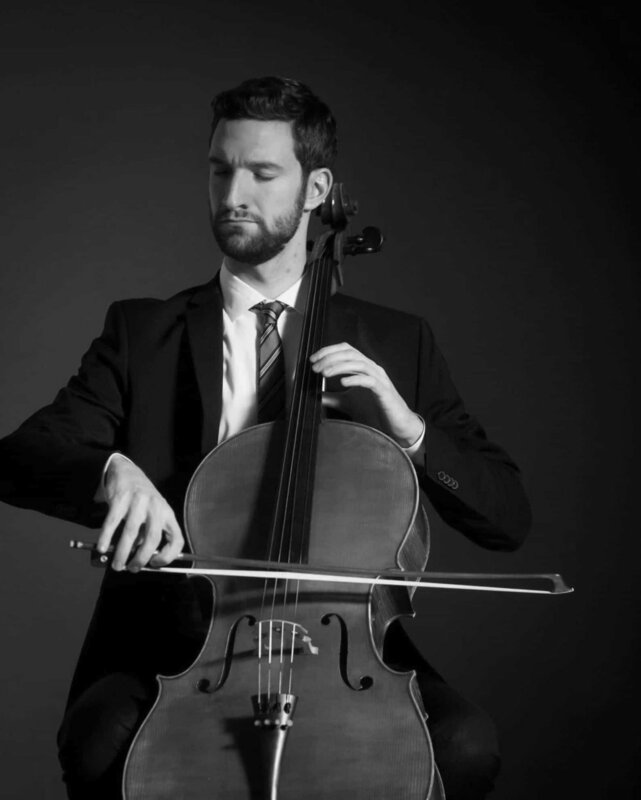 Since moving to Chicago, Andrew has continued his advocation for bringing music instruction to underserved communities by serving as the cello Teaching Artist for the Chicago Metamorphosis Orchestra Project (ChiMOP) in the Belmont Cragin neighborhood. Aside from his work at ChiMOP, Andrew maintains a busy private teaching schedule. His students have ranged from beginners to advanced college students, and from age 5 to 65+. Always eager to further enrich his teaching abilities, Andrew has attended the Chicago Suzuki Institute for the past two summers, where he observed and learned from many inspiring teachers. Andrew has also completed his Suzuki certification through Book 3 with Barbara Wampner. When not playing or teaching, Andrew can be found enjoying Chicago’s many coffee shops, exploring the city’s diverse neighborhoods, and taking pictures of animals. Get in touch with Andrew.